Today was an interesting day for me. I had plans to play my first round of golf of the year at 10 am, so I got up early and made stops at both Glenmere Lake and Wickham Lake. Glenmere had a good number of waterfowl present – mostly Buffleheads and Ring-necked Ducks. My best bird there was a Red-necked Grebe, I’m not sure if this is the same bird that’s been there for a while or if it’s a new bird. At Wickham the birds were a little more sparse, but I did have an up close Horned Grebe as well as 2 distant birds that I believe were Red-necked Grebes. The distance, backlighting, and fog prevented a definitive ID; I wanted to get back this evening, but I never made it (see below). After golf, I stopped by the Newburgh on my way home. 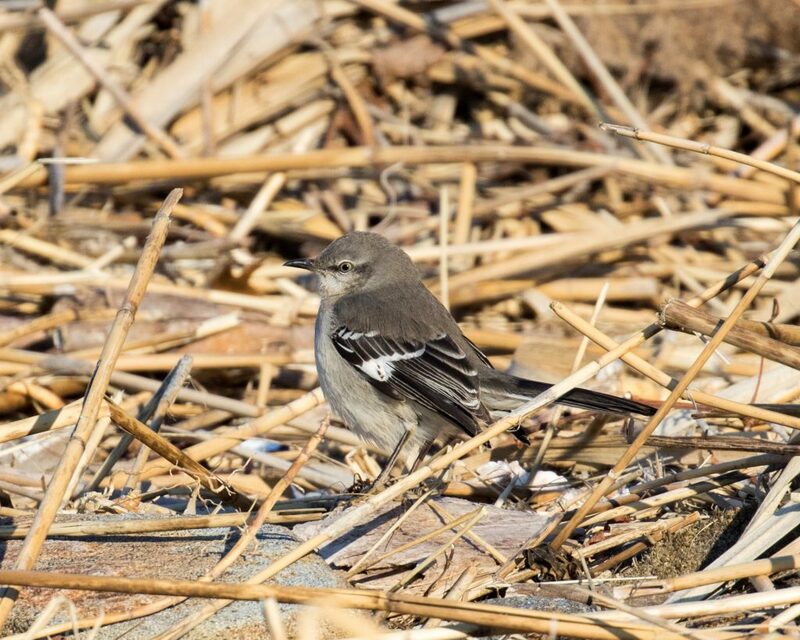 I birded Kowawese Unique Area at Plum Point, and I made several stops along the Newburgh Waterfront. Unfortunately, I found way more people than birds, so I scrammed. I made a quick stop at Lake Washington, where I found a dozen scaup way out in the lake. They were all tucked in, but from what I could tell, they looked like Lesser Scaup. From there I headed to Brown’s Pond. I was going to just make a quick stop, but the birding was good enough that I stayed for a good while (preventing me from getting back to Wickham Lake). There was a beautiful Horned Grebe in breeding plumage – distant but I enjoyed some incredible scope views of that bird. I had 9 species of waterfowl, but it was the Bald Eagles that stole the show. There was a trio of young Bald Eagles flying around the lake; I saw one fishing, but mostly they seemed to be enjoying terrorizing the ducks and tangling with one anther. I sat on a bank and enjoyed the show; taking pictures whenever they came close enough. This morning Maria Loukeris and I headed to the Great Swamp National Wildlife Refuge in Morris County, NJ. Maria had some business to attend to in the area and we birded the refuge beforehand. We mostly drove around from spot to spot, but we did walk the trails briefly as well. 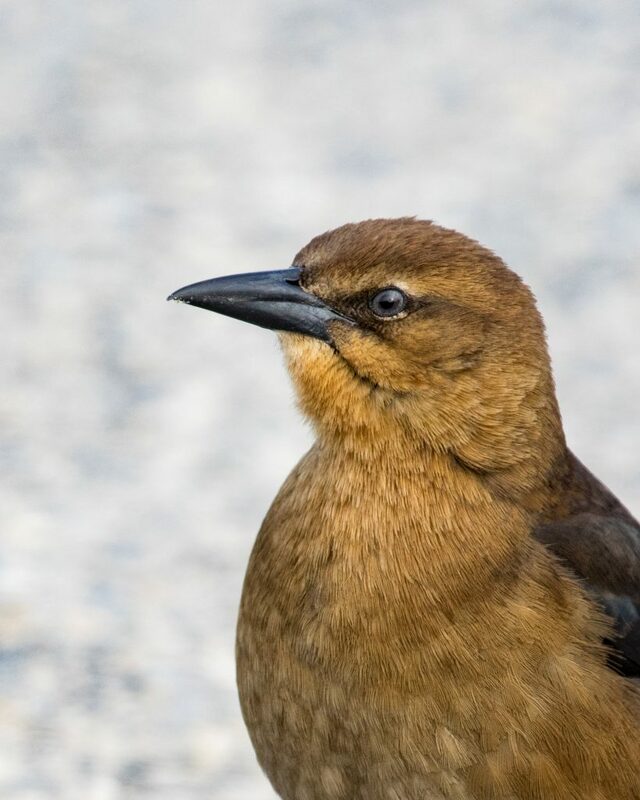 We had a total of 25 species during our visit; four were first of year (FOY) birds for me: Eastern Phoebe, Eastern Towhee, Tree Swallow, and my favorite bird of the morning, RUSTY BLACKBIRD. In the afternoon I birded three local lakes: Greenwood Lake, Wickham Lake, and Glenmere Lake. 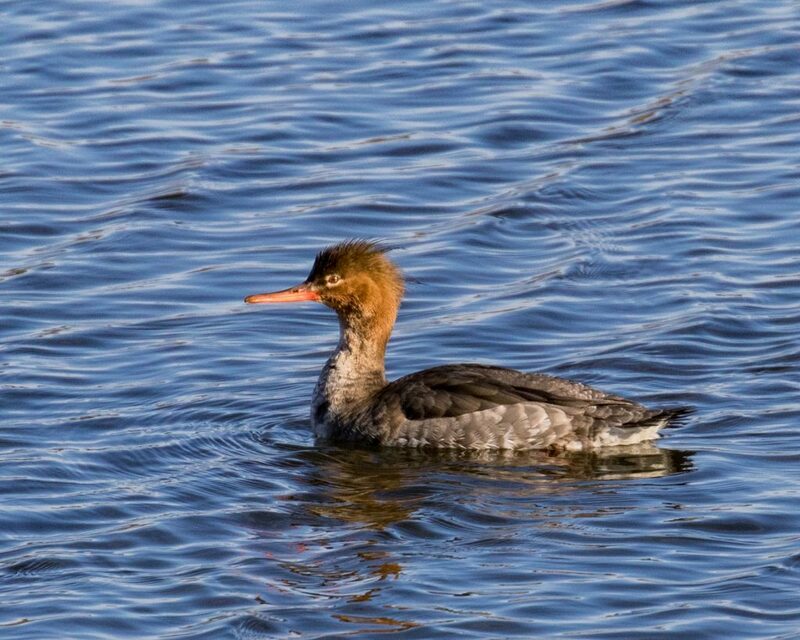 Wickham was far and away the best stop; I had 8 species of waterfowl, including over 200 Common Mergansers, a single Red-breasted Merganser drake, and an up close look at a beautiful little HORNED GREBE. At Glenmere, the RED-NECKED GREBE continues but was so far out I didn’t even take documentary photos. For the day I had a total of 37 species. 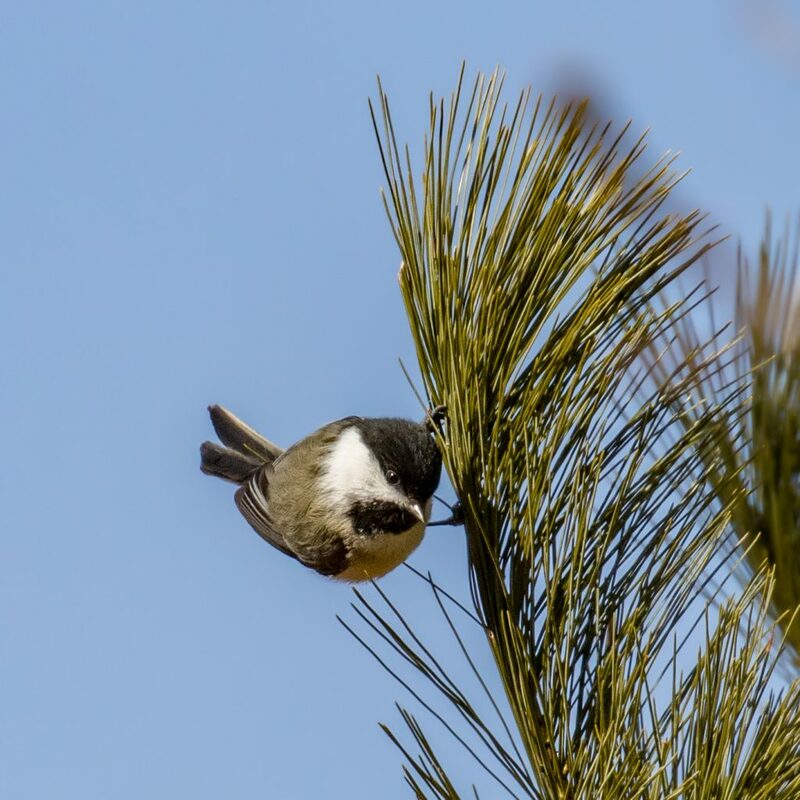 I’ve included a list of all the birds with locations at the bottom of this post. Here’s my list of species for the day, with locations (Great Swamp = GS. Wickham Lake = WL, Greenwood Lake = GRL, and Glenmere Lake = GLL). There were some good birds reported locally this week, so that gave me some targets for today. At first light I headed over to Glenmere Lake to try for the Red-necked Grebe that Kathy Ashman located yesterday, and fortunately bird was still present. Kathy also showed up, and the bird put on a pretty good show as it tried to swallow a fish that was just way too large. Eventually a Ring-billed Gull swooped in and stole the fish, putting a halt to the grebes attempts. 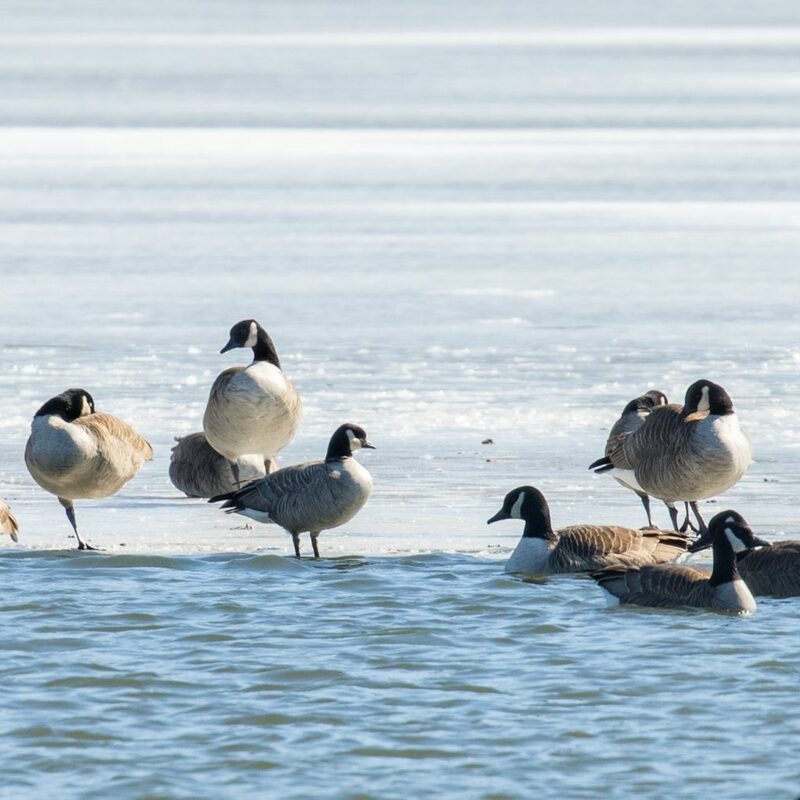 Glenmere is one of the few lakes with open water in the county, and including the grebe, I had 10 species of waterfowl: Wood Ducks, Hooded Mergansers, Buffleheads, Mute Swans, Canada Geese, Mallards, American Wigeons, Ring-necked Ducks, and 2 COMMON GOLDENEYES. 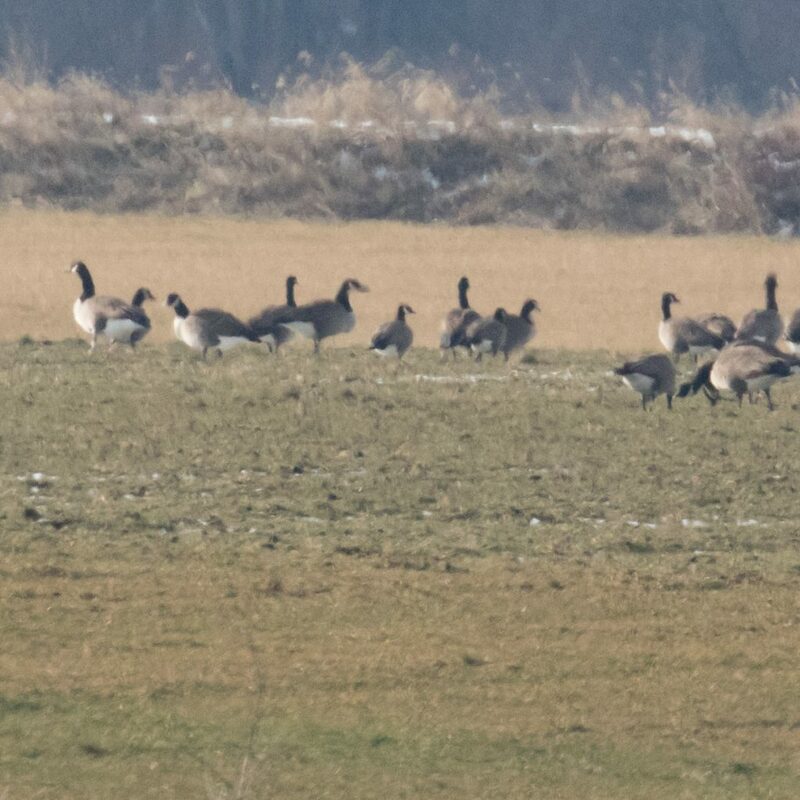 I then cruised the black dirt for a while – I had several large groups of Canada Geese, maybe around 5,000 total, I sifted through them all and unfortunately did not located any other species. I did alright for raptors; I had my first Sharp-shinned Hawk in the count for the year, several Red-tailed Hawks, Turkey Vultures, an American Kestrel on a wire, and I got some decent shots of a Rough-legged Hawk. 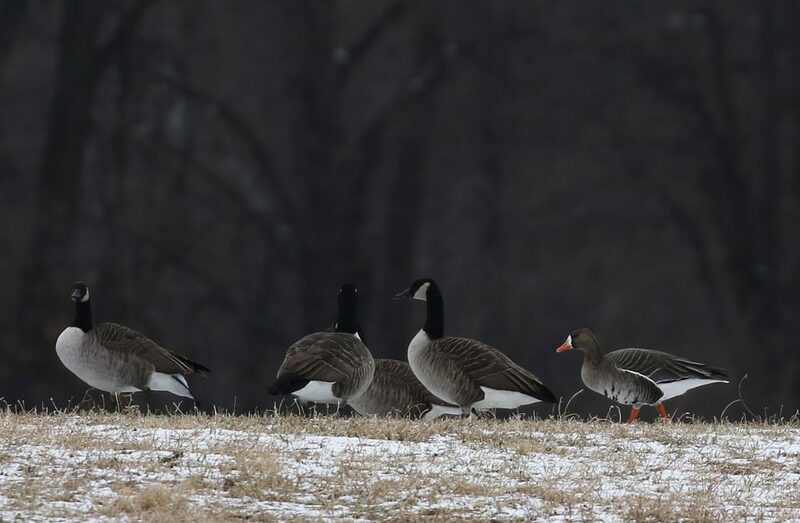 My next move was to head north to Ulster County to try for the Ross’s Goose that had been reported all week. I tried Bates Lane at Blue Chip Farms first, and I got lucky as another birder, Neil from the Schenectady was already on the bird when I arrived. He gave me a look in his scope, as the bird was at quite a distance, and I tried to get some documentary shots of the bird. It’s always good to see a Ross’s, and this bird is just the perfect beautiful example of the species. I made a quick stop at the Shawangunk Grasslands NWR, since I was so close, in spite of the parking lot being full of cars (at just after noon!) there were not many birds flying and I had only a single Turkey Vulture in the distance. I had planned to head over to Cornwall to try for the Lesser Black-backed Gull that Bruce Nott found yesterday, but I ran out of time. I may try for that bird tomorrow. What a satisfying day of birding, I feel like we are on the verge of some really good birding in our area. I got a good look at several Ring-necked Ducks at Glenmere Lake just after sunrise this morning. Glenmere is not typically a good place for photographing waterfowl from the shore, especially first thing in the morning as the view generally looks southeast, creating a severely backlit situation if there is a clear sunrise. This morning, however, these Ring-necked Ducks were located in a little cove of sorts along the shore. I positioned myself behind a tree and shot them with the sun just off my left shoulder; it was nice surprise to get some decent shots with nice light. My plan for the day was to head up to Sullivan County to see if I could do any good with waterfowl at Rondout Reservoir. Before heading up north, I made an early stop at Glenmere Lake and met up with Kathy Ashman again. 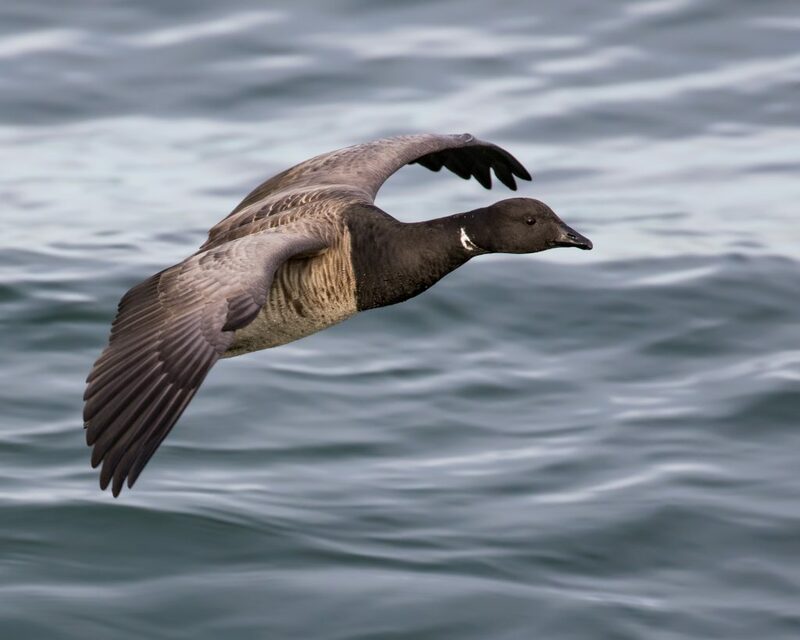 She had located 2 GREATER SCAUP and relocated the single LESSER SCAUP. I found the GRSCs easily enough, but never did locate the LESC. From there, I headed to Rondout Reservoir. 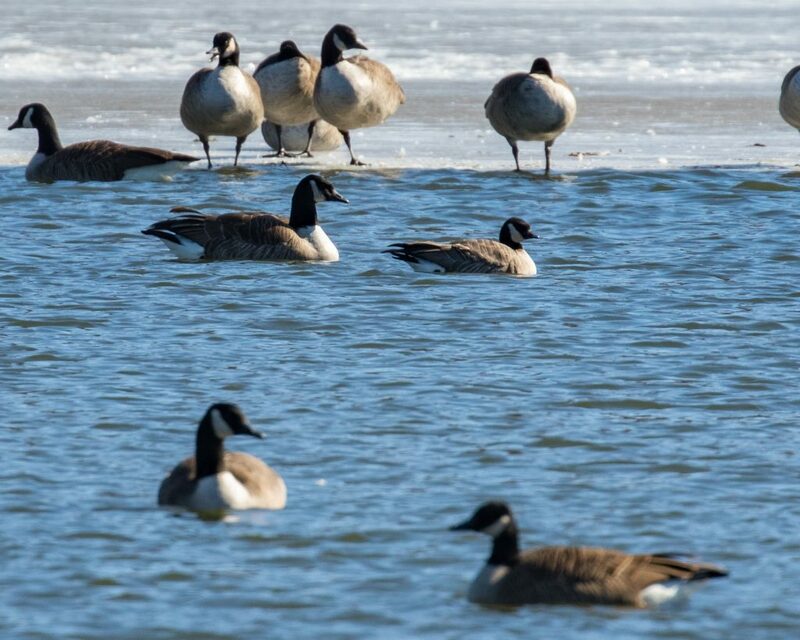 John Haas and Karen Miller have recently reported some good waterfowl there; I thought it would be fun to head up that way and see how I could do. It was a worthwhile stop as I had 8 species of waterfowl. The highlight for me was my first COMMON GOLDENEYES of the year. 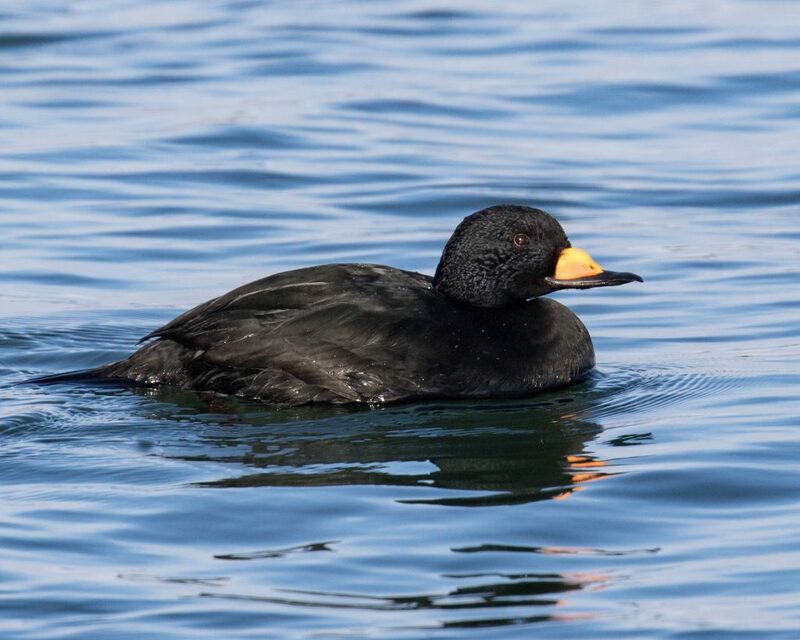 There were 9 present and they were actively feeding and displaying in the furthest corner of open water along with several Hooded Mergansers and 3 female Buffleheads. I would have loved to get some photos, but the birds were just too distant. 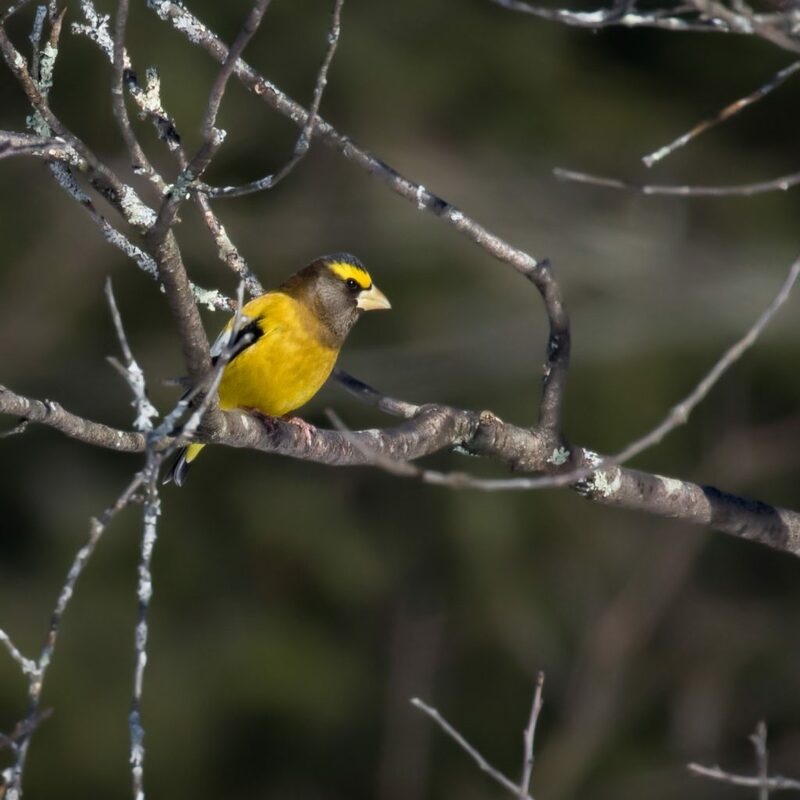 I then headed towards Liberty, to visit the feeder stations in hopes of finding Evening Grosbeaks and any other interesting birds. I got lucky and had 12 EVGRs at the Woodard Road feeders and an additional 30 or so at the Smith Road feeders. At Smith Road, it was tough to get an accurate count, as the birds were here and there and coming and going; 30 is a conservative estimation. I tooled around the Liberty area a bit, but ended up heading home without any additional notable birds. 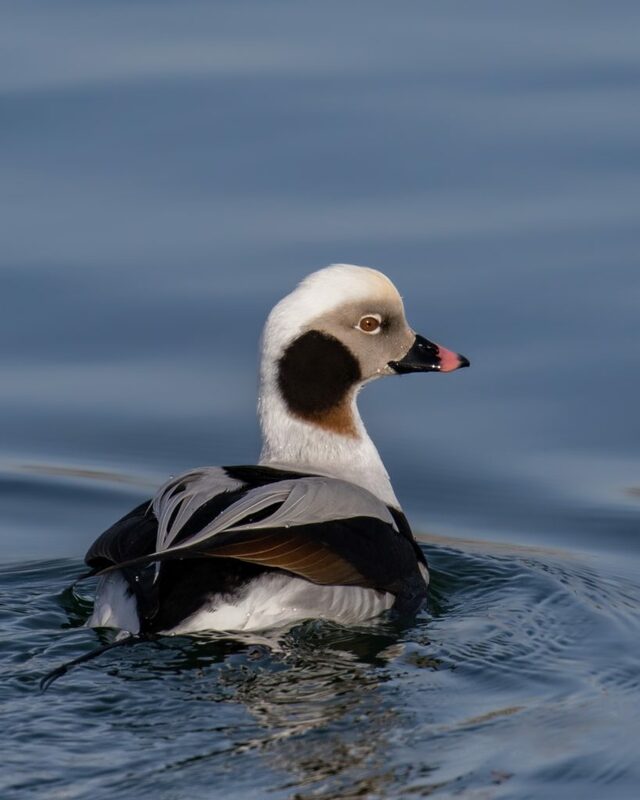 Regular readers of this blog may remember that it took me 51 weeks in 2018 to get a CACKLING GOOSE in Orange County. Well, today I potentially had three. Which just shows you how crazy birding can be. First thing this morning I headed to Glenmere Lake, hoping for the ROSS’S GOOSE that Kathy Ashman had seen there earlier in the week. 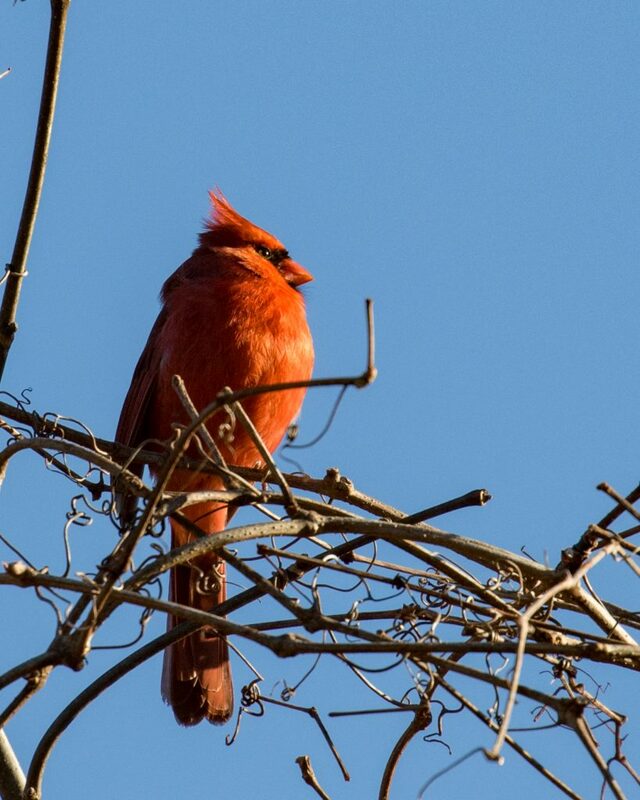 The Ross’s wasn’t present, but I did run into Kathy and we had some good birds, including one bird that looked to us like a sure Cackler and a second bird that looked pretty good, but was slightly larger with a slightly longer bill. See photo below, I’d love to hear any opinions on these birds. The birds stuck together the entire time we were there, a cute tiny couple. Other waterfowl present: Wood Ducks, Ring-necked Ducks, Canada Geese, Mute Swans, American Black Ducks, Mallards, Gadwalls, and a single LESSER SCAUP. 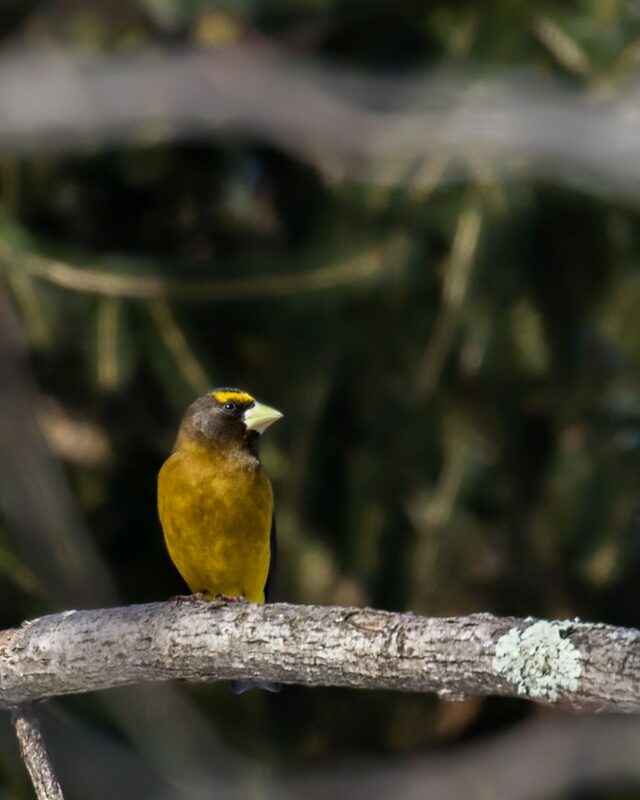 I tooled around the black dirt and then took a walk at Wallkill River National Wildlife Refuge’s Liberty Marsh; it was actually pretty quiet and I had mostly the usuals including White-crowned Sparrows at two locations. 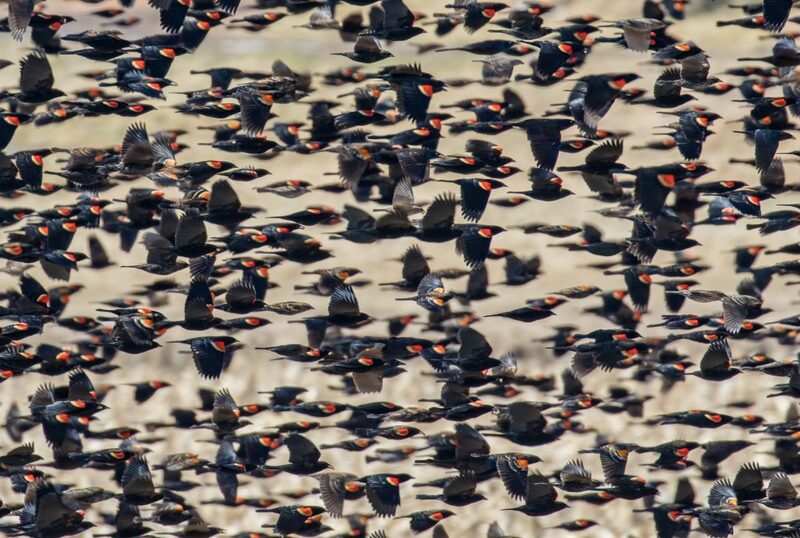 On Onion Avenue there was a large flock of mixed blackbirds – perhaps 1,000 birds or so, nearly all Red-winged Blackbirds with a sprinkling of Brown-headed Cowbirds, Common Grackles, and European Starlings thrown in. My final stop in southern OC was at Lockenhurst Pond. This is the small pond on Route 284 in Westtown, NY; I just looked it up to see what it was actually called. 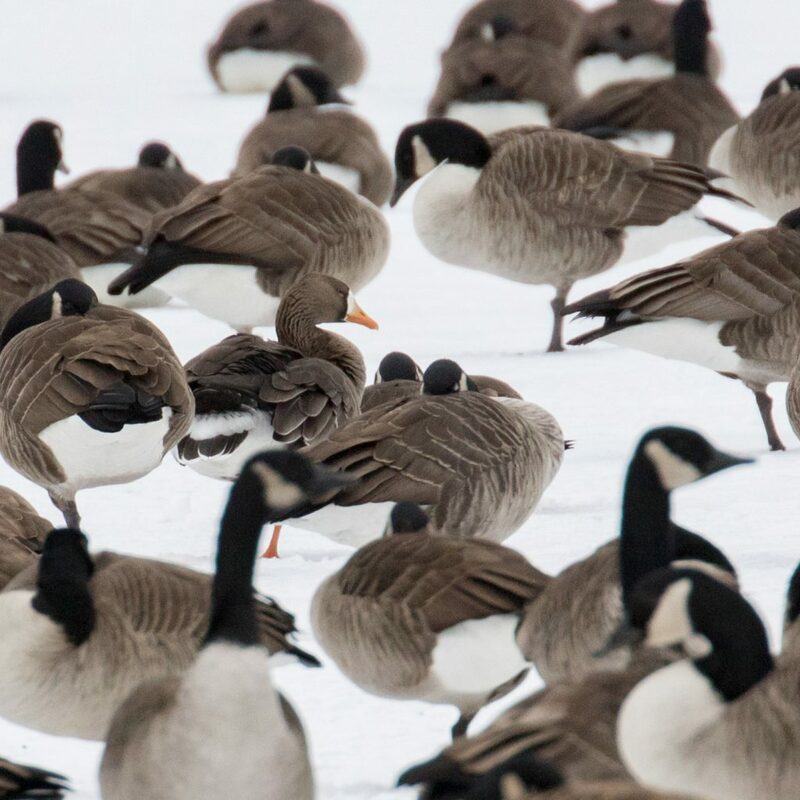 While I was there I sifted through the flock of approximately 400 Canada Geese and eventually located another CACKLING GOOSE. This bird looks good to me, see top photo as well as below. 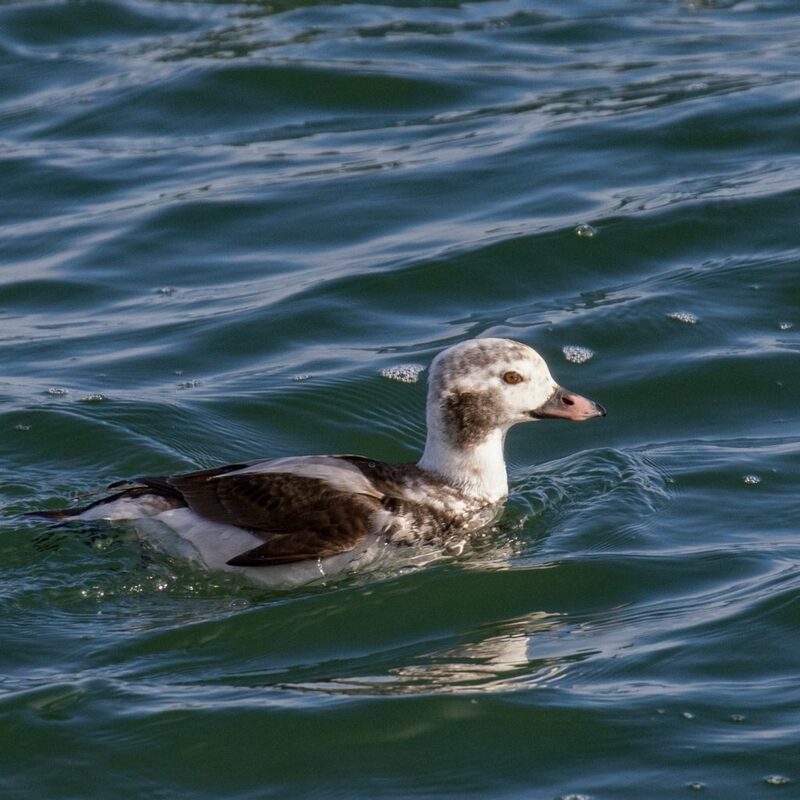 After a late lunch, I headed up to the Newburgh Waterfront to try for more waterfowl and gulls. I had only the 3 expected species of gull, and for waterfowl the only noteworthy species was 9 Northern Pintails. I can only remember one other time having NOPIs on the Hudson River. Just as it was starting to get dark and I was thinking about heading home, I saw something I’ve not seen before. A group nearly 60 Canada Geese flew in and landed on the river. I don’t know if they were out in the fields all day, or if they just finished a long flight, but as soon at they landed all the birds were drinking from the river. 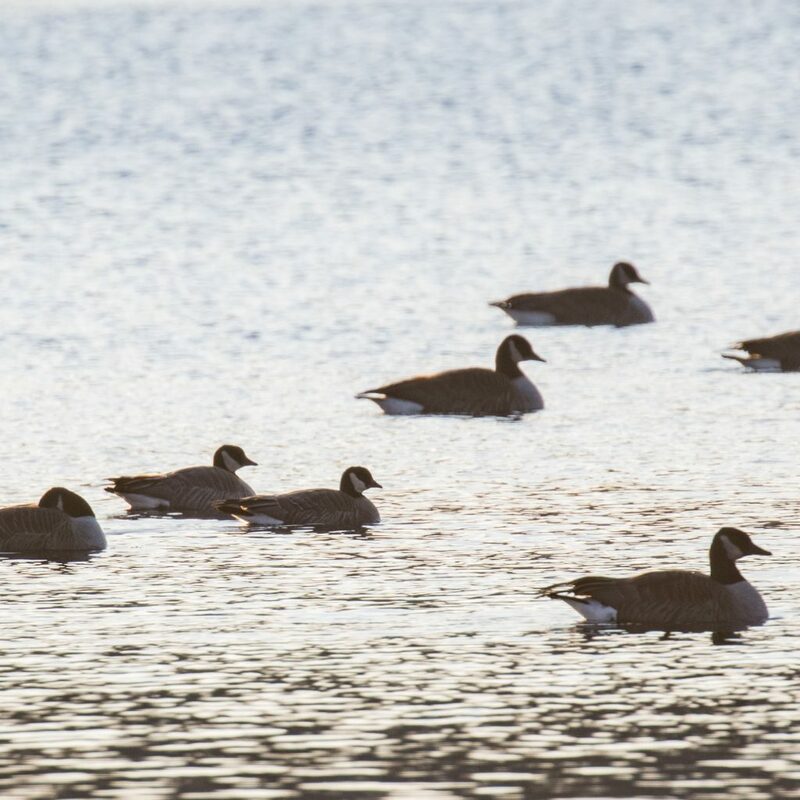 I found it sweet to see 60 Canadas sipping away as the sun set. 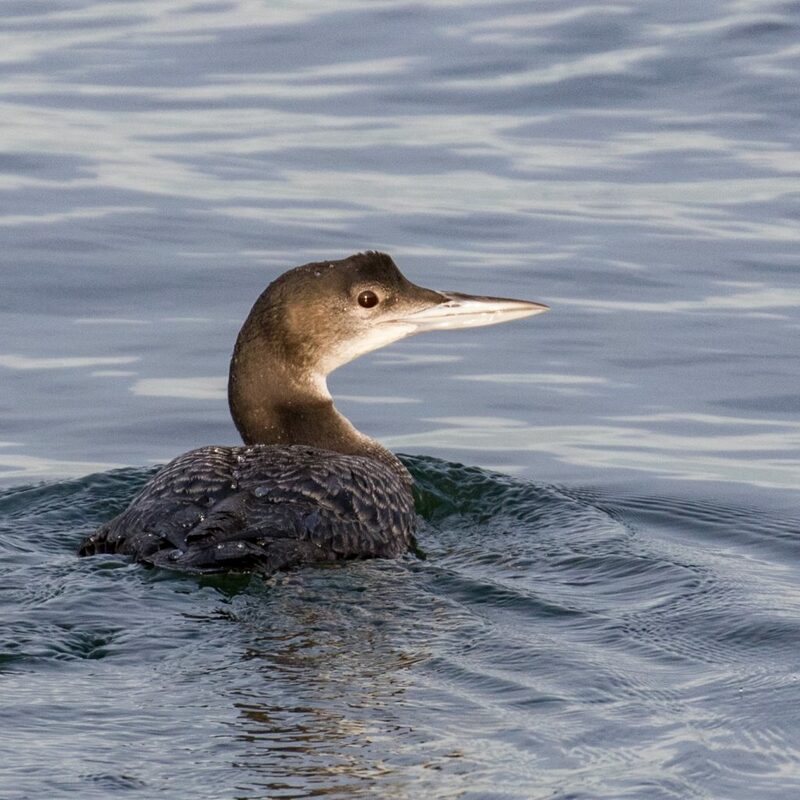 Early this morning, Linda Scrima, Maria Loukeris, and I headed to Manasquan Inlet to try for the PACIFIC LOON that has been seen there. 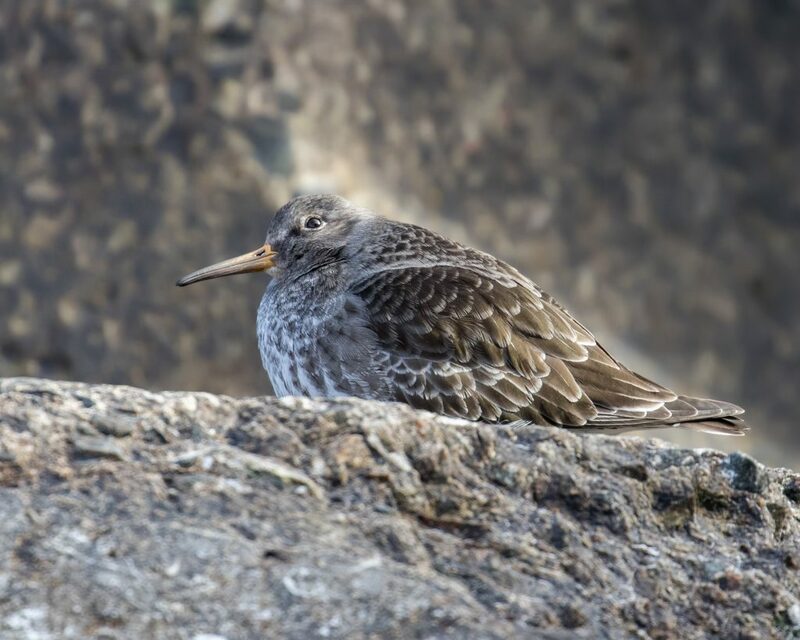 This was definitely one of the easier rarities we’ve run for – we parked the car and the bird was in the channel right in front of us! 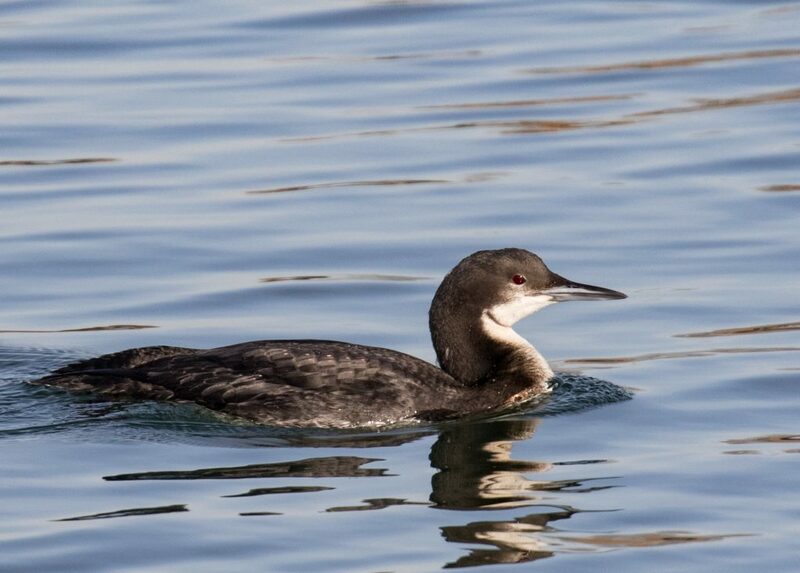 And what a beautiful bird, a nice dark loon with a lovely chin strap. 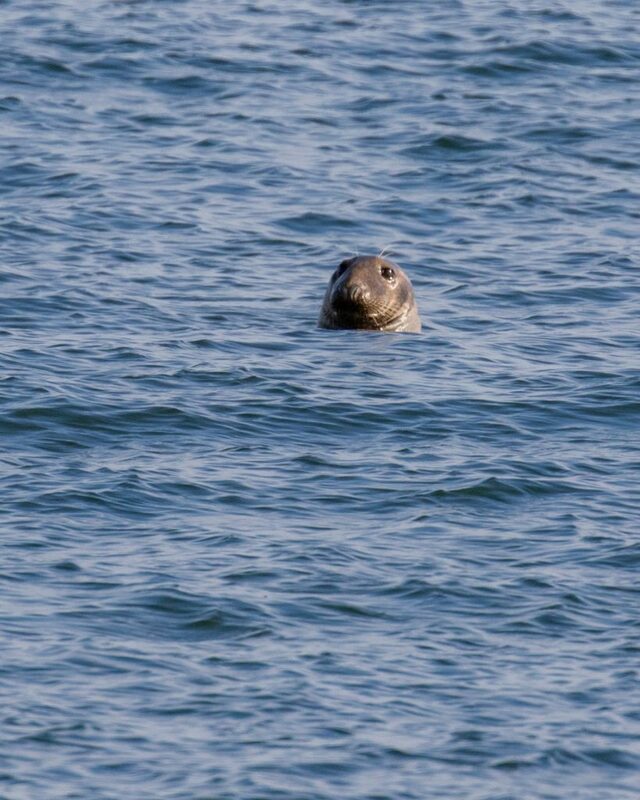 It was also very cooperative, swimming quite close and the light was pretty nice too. 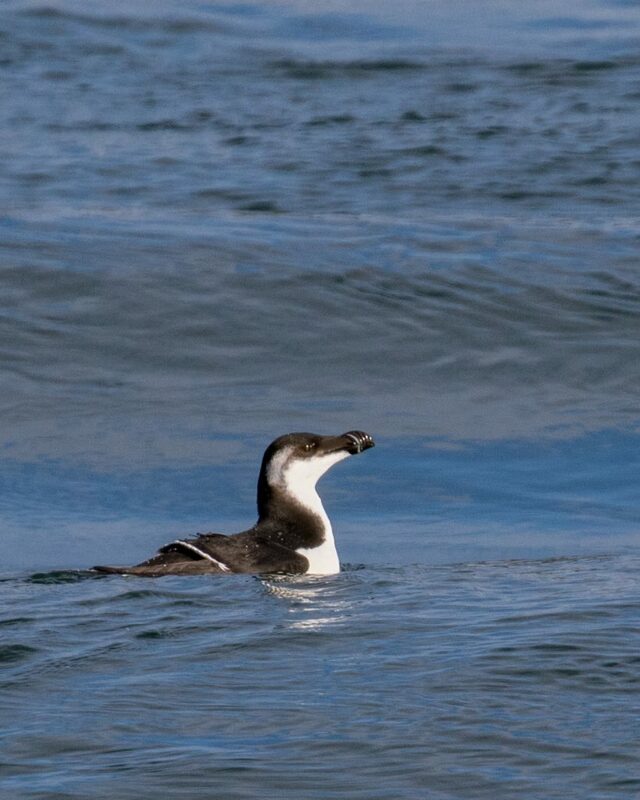 This bird alone was definitely worth the trip, but we also had some really nice photo ops with some Long-tailed Ducks (which are apparently a garbage bird around there!) 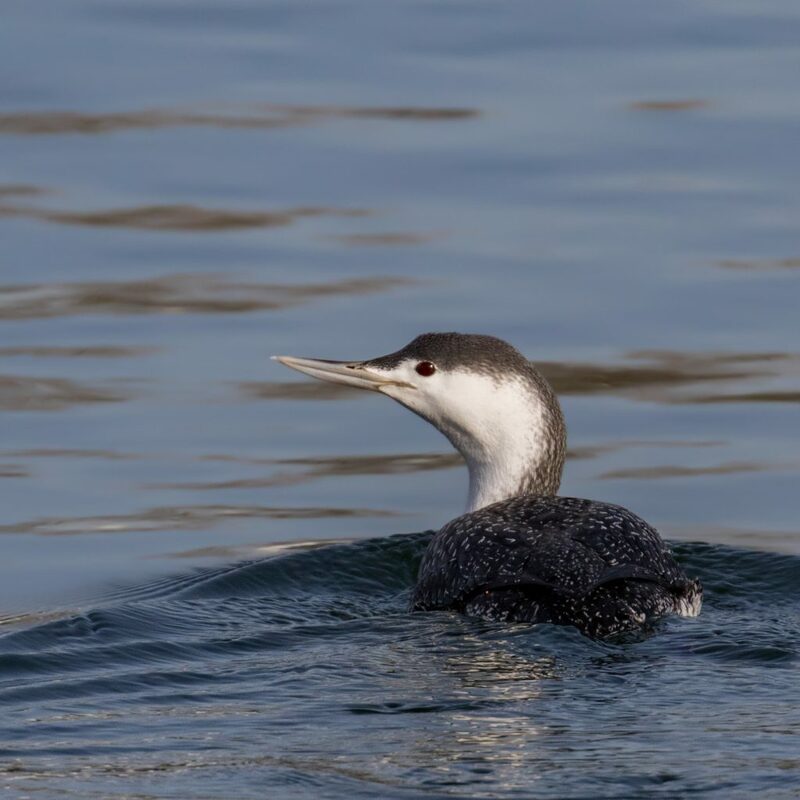 and a gorgeous RED-THROATED LOON. 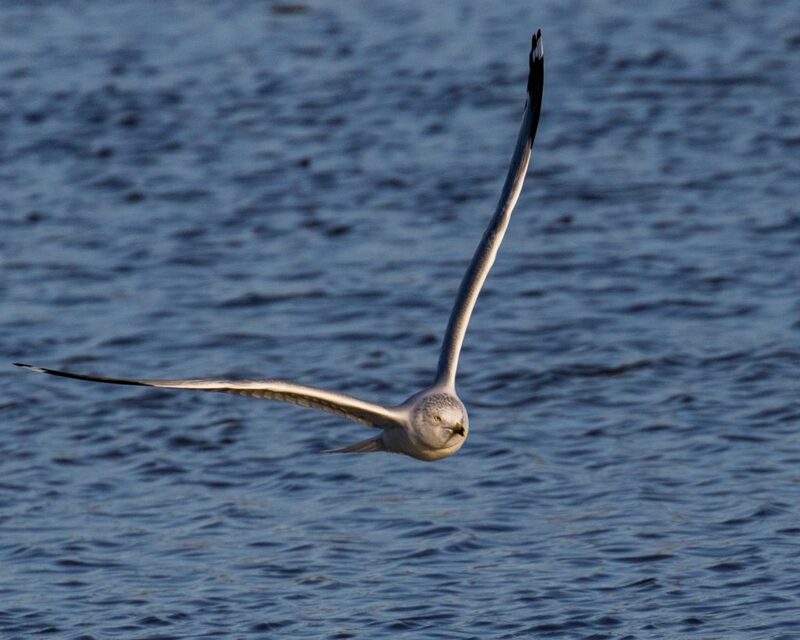 We checked for gulls from Red’s Lobster Pot and got lucky with a 1st winter ICELAND GULL. Unfortunately that bird was just too far for pics. 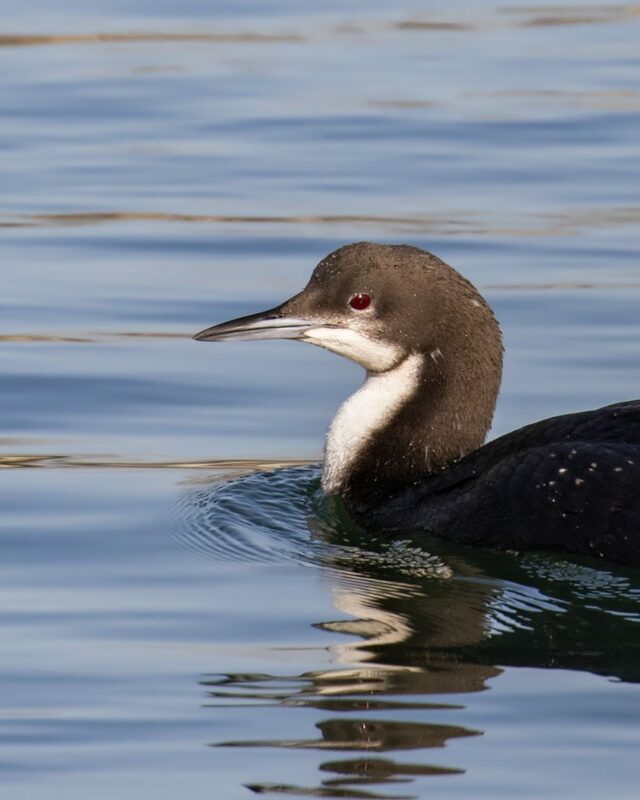 Then we walked out onto the jetty, where we enjoyed seeing many of the usuals – highlights included a Common Goldeneye flyby, a flock of Dunlin, and 2 Horned Grebes. 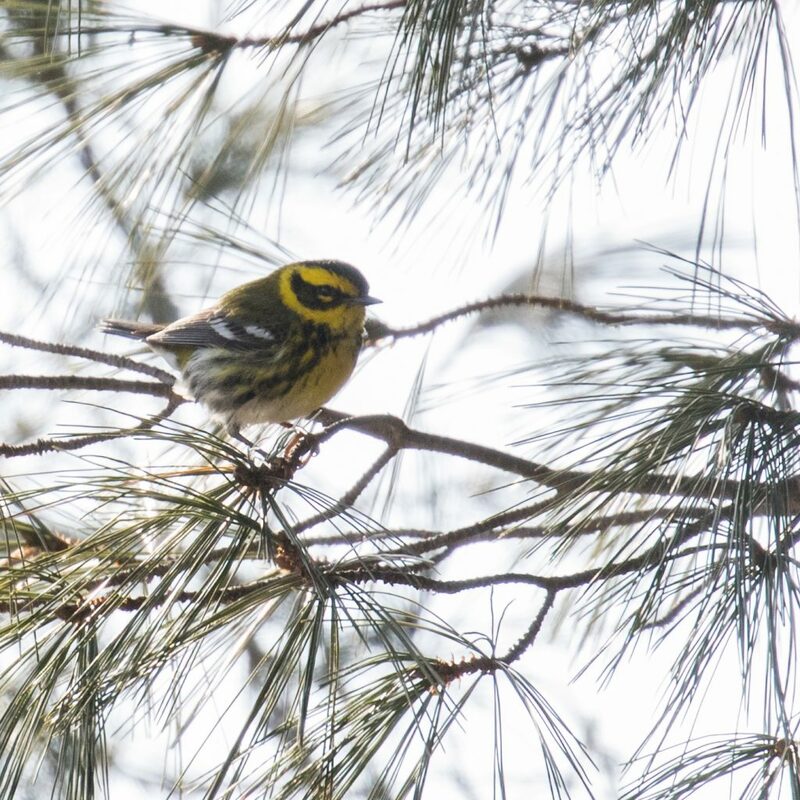 We then headed to the Trenton Sewage Ponds in Mercer County to try for the TOWNSEND’S WARBLER that has been there. We were informed as soon as we arrived by other birders that the bird was still present, and we got on it not too long after that. It was a good looking warbler, but unfortunately the lighting was absolutely horrible and the bird was severely backlit from our vantage point. We tried for a while to get shots of the bird as it foraged around the pools, and eventually the bird perched in a nearby tree. It was still backlit, but closer to us and with a natural setting made the difference for me. 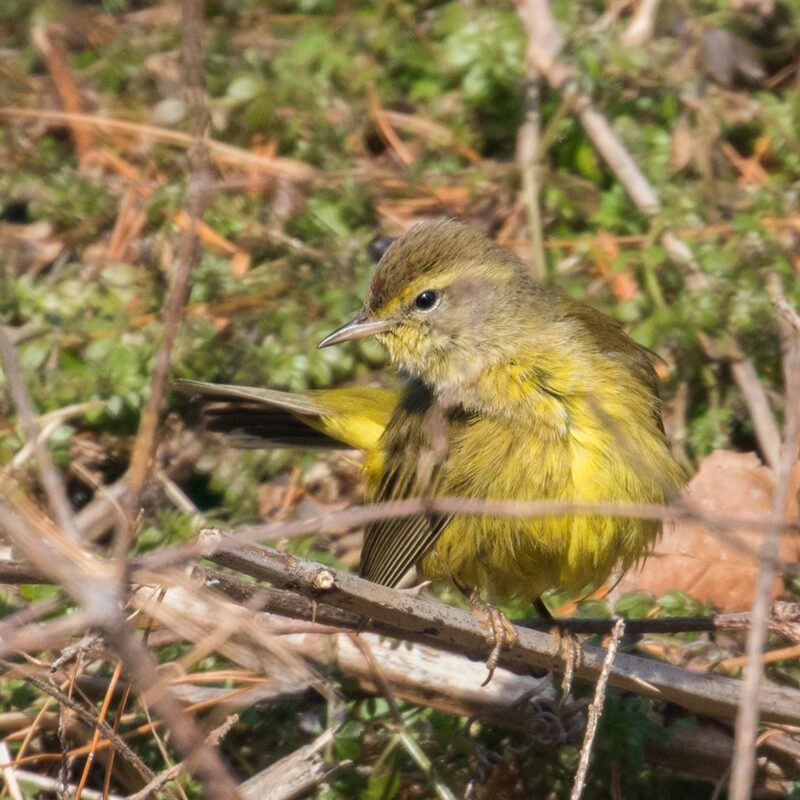 Also present was a Eastern Phoebe, several Yellow-rumped Warblers, a handful of Ruby-crowned Warblers, and a Palm Warbler. 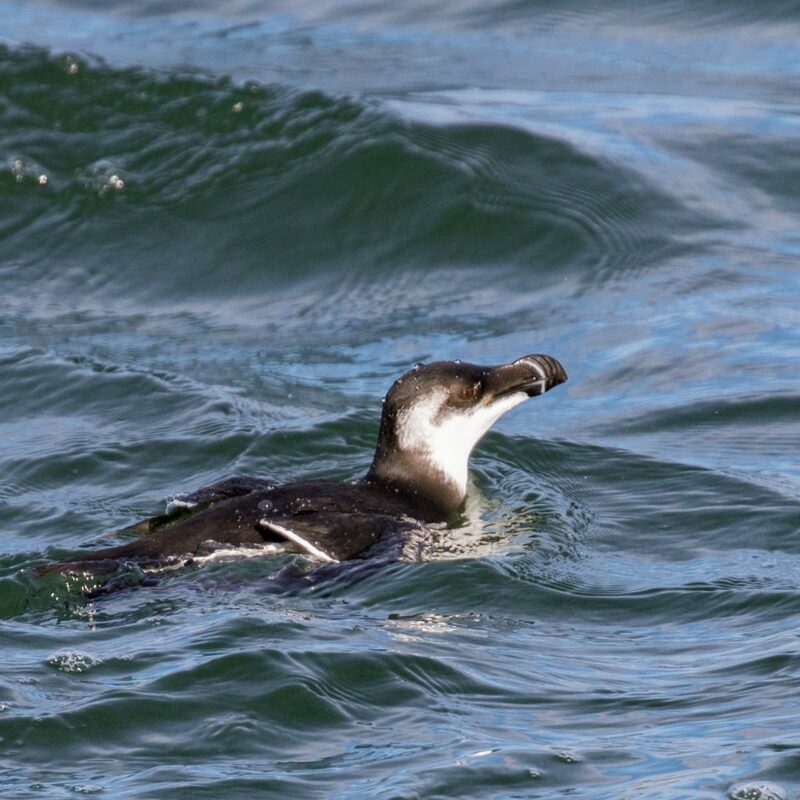 Both birds were lifers for all three of us – it’s not too often we get lifers these days, so it was AWESOME!